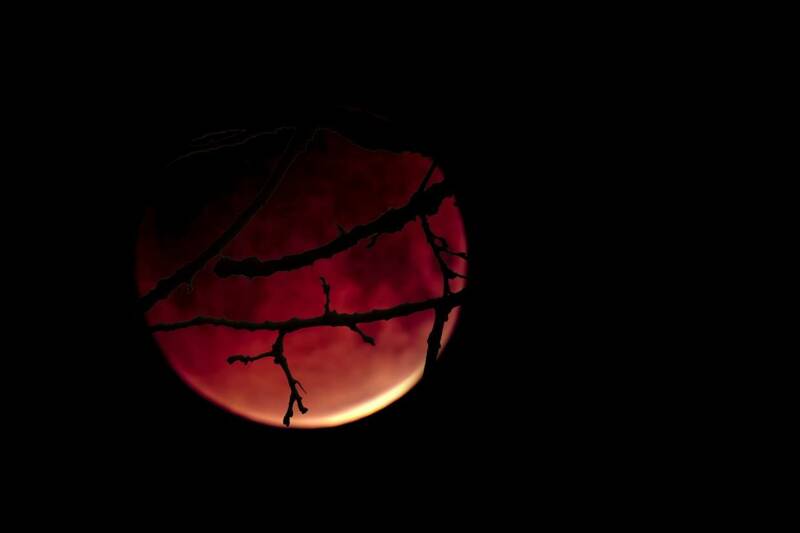 Double exposure of tree branches and blood moon. I captured in our backyard in Becida, Minnesota, USA, Out temperature was 8 Degrees F with the wind chill of -27 degrees F. So tough to be outside to capture the moment but "No pain, No gain!" Nice Gigi ! Actually i took almost that same shot .. Except my lens isnt quiet as good, I just have the kit lens …. Funny when i got started 2 years ago i didn’t know about lens and the cost involved … I may have to use the cheap lens until i can find a way to get paid for photos : ) I luv taking the night sky and nature …. Thank you so much Baymike for the nice comment.